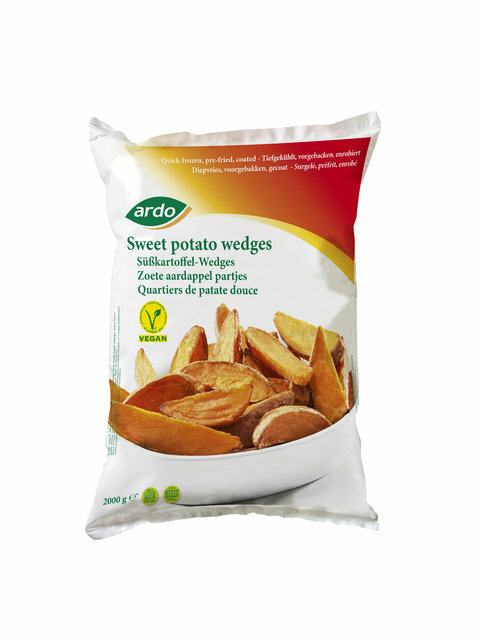 The wedges have a gluten-free coating, making them extra crispy. They make a great snack served with a spicy dip, and go great with roast meats and BBQ dishes. 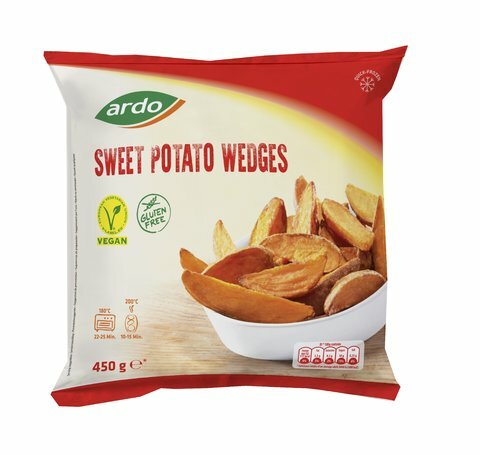 Sweet potato 91%, sunflower oil, rice and maize flour, modified potato starch, potato dextrin, salt, raising agents: diphosphates and sodium carbonates, stabiliser: xanthan gum, colours: paprika extracts, curcumin. Place the sweet potato wedges in a single layer on a baking sheet. Bake in a preheated oven at 180°C for 22-25 min or until golden and crispy, turning once. Do not overcook.